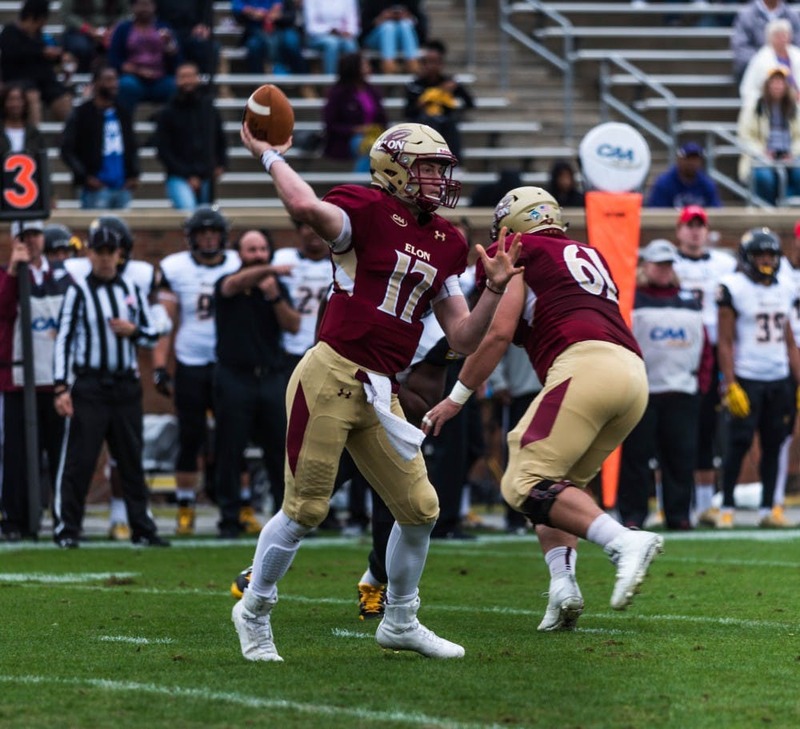 Under Curt Cignetti, Elon has become a very tough team to play against. The Phoenix have an above average defense and a bruising running back that keeps the chains moving on offense. Elon has only played one conference game so far this season due to Hurricane Florence cancelling their trip to William & Mary. At the end of the season, they may look back on that missed win opportunity as something that cost them a playoff seed. After losing their season opener against FBS South Florida in a respectable performance, the Phoenix have easily outpaced their other three opponents. It gets tougher this week, as the Phoenix travel to take on the number two team in the nation, James Madison. This is a true test to see how far the Phoenix have come. Last year, Elon hosted the Dukes in a game that would determine the CAA champion. Elon was never in the game, losing 31-3. They’ll want a better showing this week. Key Player: QB Davis Cheek started as a freshman, earning CAA offensive rookie of the year honors. Cheek has improved this season. He is completing over 72% of his passes, but he is not getting much yardage out of the pass game. He will probably have to pass more this week as the Dukes will key on Malcolm Summers and try to limit him in the run game. It is imperative that Cheek not turn the ball over. The Dukes thrive on opponents mistakes, so taking care of the ball is of utmost importance. Fantasy Bonus Baby: RB Malcolm Summers. Just because the Dukes are going to try to limit him, doesn’t mean Summers wont still have a good impact on the game. The Phoenix will try to control the clock, and to do that, they have to run the ball effectively. Summers will get plenty of work, potentially up to 30 carries. Even if he has shorter gains, he should be near 100 yards and could potentially find the end zone. James Madison has rolled through the early part of its FCS schedule, outscoring those opponents 201-17. In fact, DB Jimmy Moreland has scored more points on interceptions returned for touchdowns (18), than the Dukes have allowed (17) in those three and one quarter games. This week should be a little tougher test for the Dukes. Elon has designs on being a seeded playoff team and currently sits ranked tenth in the nation. 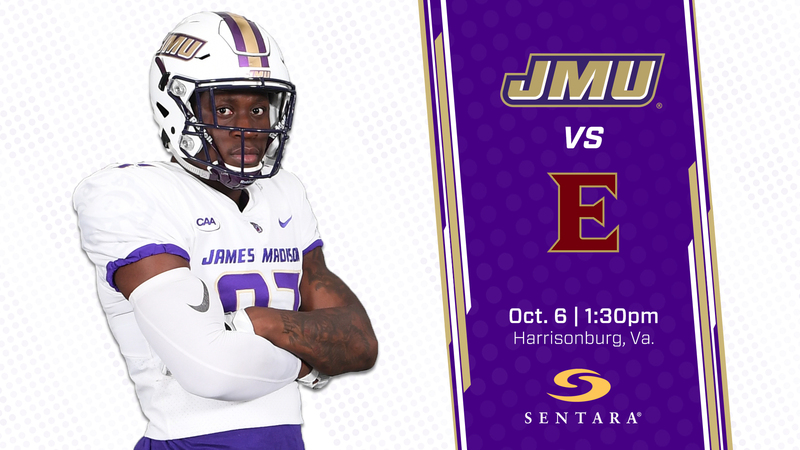 The Dukes are always ready to play, especially at home, so this week should be no different for them. Key Player: DB Jimmy Moreland has four interceptions this season, three of which he has returned for touchdowns. He essentially takes half of the field away from an opposing offense. The Dukes will most likely focus on stopping the Elon run game and Malcolm Summers, so Moreland will be in single coverage for the majority of the game. He has shown no fear in his career matched up one on one, so Moreland will be ready when the Phoenix go to the air. It would surprise no one to see him snag another interception. Fantasy Bonus Baby: QB Ben DiNucci proved against Richmond that the Dukes offense isn’t tied into just a run game. DiNucci threw for 248 yards and three touchdowns against the Spiders before watching the fourth quarter from the sideline. On the season, DiNucci has completed a shade under 75% of his passes for 9 touchdowns. He can still use his legs though, having run for 196 yards and three touchdowns. Expect DiNucci to throw for over 200 yards and multiple touchdowns as well as add 50 yards on the ground.